Former prime minister Nawaz Sharif on Monday cast doubts over the joint investigation team saying they were biased and lacked proper evidence. The former premier went on to say that statements recorded in Panama Joint Investigation Tribunal (JIT) were not credible. 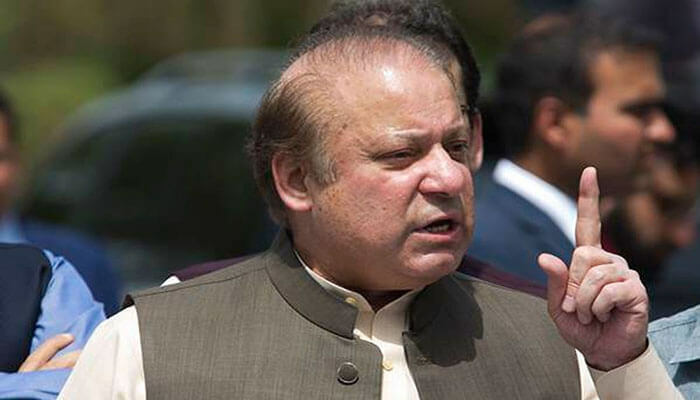 Judge Arshad Malik presided the hearing in the Al-Azizia reference against the former premier in the accountability court in Islamabad. Nawaz was present for a fourth day to record his statements. The PML-N supremo has to answer 151 questions. According to Express News Nawaz has recorded his answers for 147 questions, while he is expected to record the answers of the remaining questions on Thursday. Statements recorded by an investigation agency cannot be presented in court as evidence, and that the Panama JIT’s investigations were biased and lacked proper evidence, Nawaz said during the proceeding. The former PML-N president stated that he didn’t fight Hassan and Hussain Nawaz’s case in the Supreme Court, and that their statements cannot be used against him without any evidence.” The statements recorded by JIT have no legal standing,” Nawaz stated. Continuing his tirade, Nawaz said, “People worldwide study and conduct businesses abroad, how is it a miracle if my children sent money abroad?